It is very difficult trying to recommend a book to new readers when it is the finale of a series. Readers who have been following the adventures of the characters thus far will have no trouble with picking up this volume. 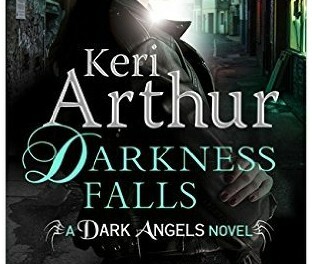 Darkness Falls is the seventh volume in the ‘Dark Angel’ series and revolves around Risa Jones and Azriel. But, to the beginning. The setting is Melbourne, Australia. This is a future that parallels others in several others written by American authors in that vampires and werewolves are regarded as citizens as long as they behave themselves. For the reader, the adventure really started with Riley Jensen in a series of nine books. Riley is half vampire, half werewolf. Her twin Rhoan is a Guardian. The Directorate to which the Guardians belong is an organisation which deals with rogue supernaturals. If necessary, they will kill them. The Directorate was set up by vampires, in particular, Madelaine Hunter. Rhoan was one of the first non-vampire Guardians as it was realised that they had to operate in daylight hours as well as under the cover of night. 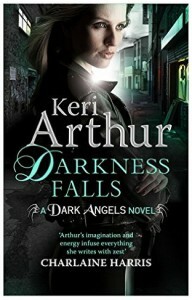 While the ‘Guardian’ series deals with the dangers facing Riley, mainly because of her mixed heritage, some of the characters in the ‘Dark Angel’ series are introduced. In the ‘Guardians’ series, Risa is a child and her mother a friend of Riley so at the start of the ‘Dark Angel’ series, followers of Riley’s adventures will already be familiar with the settings and some of the characters. It is not essential to have read the first series as Darkness Unbound, the first where Risa takes centre stage, can be read without any pre-knowledge. In it we discover that her father created three keys to hell and hid them. Only one of his blood-line can find them. Risa has a number of adversaries wanting them. By the time Darkness Falls begins, two keys have been recovered but the dark sorceress, Lauren MacIntyre, has beaten her too them and unlocked two of the gates of hell. If she gets the third, she will release all the demons onto Earth. The other one who wants the key is Madelaine Hunter. She has become insane and wants to use the threat of unlocking the gate to dominate the world. Risa has allies, the most important one is Azriel, a reaper (collector of the souls of the newly dead) and her lover. She is also pregnant with his child. As yet, this is not a handicap but rather another reason for succeeding in the quest for the third key. The problem is that Hunter has given her a deadline after which her friends will begin to die. Darkness Falls begins with Risa and Azriel in the middle of a fight and the pace continues at speed throughout. This is a satisfactory ending to a series and will be enjoyed by all those who followed it so far. New readers would do better to go to the beginning.